Dotnetnukeindia has been working with the Dotnetnuke platform since 2006. In 6 Years we develop more then 1500+ Dnn Site & Dnn Skin and our dnn developer team is experienced in that technology. Dotnetnukeindia is a leading CMS development company in India that develops CMS on Dotnetnuke platform. Nowadays Dotnetnuke CMS is a popular and powerful open source content management system built using Microsoft Technologies. It is our preferred solution for CMS website design solution on the Microsoft platform. It’s easy to use for administrator and normal user without any knowledge of designing & programming. 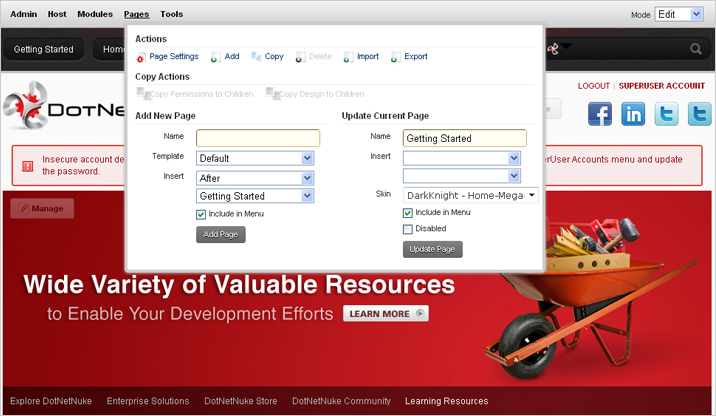 Dotnetnuke CMS allow you to update your website on regular bases from anywhere in this world.